YouNet SI is one of the leading IT companies in Vietnam & S.E.A. providing Bitrix24 clients with consultation and customization services. With over 200 Bitrix24 projects successfully implemented, YouNet SI proudly provides best services for clients. Our team with experts in e-office and Enterprise Social Network are ready to help. We are confident and committed to consult and deliver the best solution with most reasonable price to your company. In order to satisfy your unique requirements, YouNet SI offers the customization service based on demand. We have over 120 experienced engineers who can satisfy from small to large and complex requirement with best quality. After deployment, YouNet SI offers training at selective locations to guide your system administrators to master the system with all of the modules of the Enterprise Social Network. Besides, we also offer training services based on specific requests. The YouNet SI Board of Advisors is comprised of individuals with years of experience working on various fields of business management, technology & marketing. Not only giving consultancy, we support the growth of VietNam and S.E.A enterprises by helping their business development through Social Technology. With our advice and expertise, we aim to help businesses to upgrade the productivity and gain higher level of management efficiency. 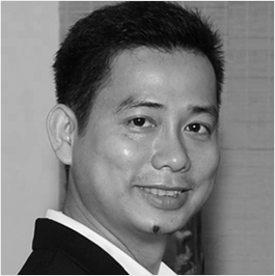 Over 17 years experience in the field of solutions and IT software, before joining YouNet SI as CEO, Mr. Huy Do hold many senior management positions in domestic and foreign corporations such as TMA Solutions, Nortel Networks, FPT Software, LogiGear,… With his experience and knowledge, Mr.Huy Do quickly explored and realized the emergence of the social technologies in business management. At YouNet SI, Mr. Huy Do plays a key role in the advisory board and has successfully deployed the Enterprise Social Network for businesses in many different sizes, fields, and industries. 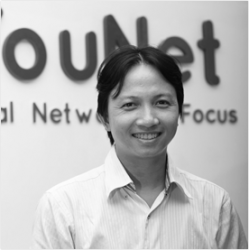 Over 15 years' experience in developing social products & solutions, with the mission to improve 360-degree corporate communication, Mr. Hoa Nguyen has led YouNet Group to be the leader in Complete Social Solutions in S.E.A as well as the Vietnam's leading communication intelligence group. 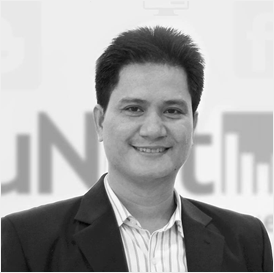 To improve corporate communication, Mr.Hoa focuses on exploiting three communities around an enterprise which are Employee Community ( Employee/Internal Communication), Customer Community (Loyalty/Client Communication) and Social Media (Brand Communication, Corporate Reputation, Crisis Communication and PR ). With the love and dedication to Corporate Communication, Mr. Hoa wants to bring his research and practice to maximize communication's power on digital media. 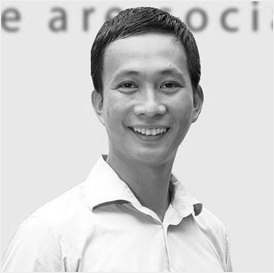 With an MBA (University of Hawaii at Manoa) and Master of Science in Computer Science (University of Technology, HCMC), Mr. Trieu has been through 15 years in Interactive Web Marketing since the early time of Vietnam Internet for global brands & agencies. Tho Quan received his B.Eng. 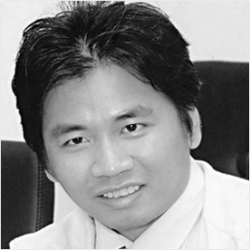 degree in HCMC University of Technology in 1998 and received Ph.D degree in 2006 from Nanyang Technological University, Singapore. He earned Associate Professorship in Computer Science in 2012. He joined YouNet in late 2011. Currently, he is a scientific advisor of the company. 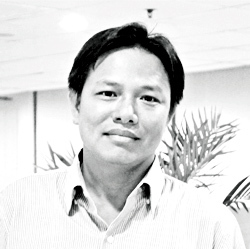 Lang Nguyen has over 15-year experience in programming, technical team management for Vietnamworks.com, Webtretho.com, diadiemanuong.com. He has also experience in building the technical department for start-up companies, handling system problems of website. At YouNet SI, he is Technical Manager who takes responsibilities for managing technical processes and teams along with using his technical skills to provide the necessary environment for project success.